In "Office Christmas Party," when the CEO tries to close her hard-partying brother's branch, he and his Chief Technical Officer must rally their co-workers and host an epic office Christmas party in an effort to impress a potential client and close a sale that will save their jobs. 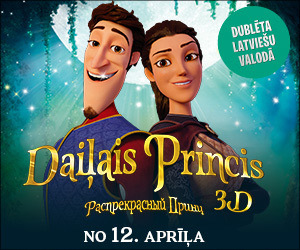 Movie in English with subtitles in Latvian and Russian. «Not Every Gift Is Welcome». A young married couple's lives are thrown into a harrowing tailspin when an acquaintance from the husband's past brings mysterious gifts and a horrifying secret to light after more than 20 years. Movie in English with subtitles in Latvian and Russian. Fed up with answering to higher-ups, Nick, Dale and Kurt decide to become their own bosses by launching their own business in "Horrible Bosses 2." But a slick investor soon pulls the rug out from under them. Growing up together, Mitch (Reynolds) and Dave (Bateman) were inseparable best friends, but as the years have passed they’ve slowly drifted apart. While Dave is an overworked lawyer, husband and father of three, Mitch has remained a single, quasi-employed man-child who has never met a responsibility he liked. In For Nick, Kurt and Dale, the only thing that would make the daily grind more tolerable would be to grind their intolerable bosses into dust. Quitting is not an option, so, with the benefit of a few-too-many drinks and some dubious advice from a hustling ex-con, the three friends devise a convoluted and seemingly foolproof plan to rid themselves of their respective employers…permanently. JENNIFER ANISTON stars alongside JASON BATEMAN in this offbeat comedy as Kassie, a smart, fun—loving single woman who, despite her neurotic best friend Wally’s (BATEMAN) objections, decides it’s time to have a baby—even if it means doing it by herself… with a little help from a charming sperm donor (PATRICK WILSON). Oscar® winner Russell Crowe leads an all-star cast in a blistering thriller about a rising congressman and an investigative journalist embroiled in an case of seemingly unrelated, brutal murders. Crowe plays D.C. There are heroes... there are superheroes... and then there's Hancock (Will Smith). With great power comes great responsibility - everyone knows that - everyone, that is, but Hancock. Mr. Magorium's Wonder Emporium is the strangest, most fantastic, most wonderful toy store in the world. In fact, it's a magic toy store and everything in it comes to life - including the store itself. The Emporium only asks one thing of its customers; you must believe it to see it. "Mr.
Academy Award® winner Jamie Foxx leads an all-star ensemble in a timely thriller that tracks a powder-keg criminal investigation shared by two cultures chasing a deadly enemy ready to strike again in "The Kingdom." When a terrorist bomb detonates inside a Western housing compound in Riyadh, Saudi Arabia, an international incident is ignited.